Now you can “Getaway…without Going Away”™ with spectacular weekend Tiburon Sunset Cruises on San Francisco Bay and non-stop ferry rides to Angel Island State Park aboard the Angel Island Tiburon Ferry 7 days a week! 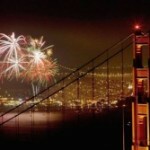 Celebrate the San Francisco 4th of July Fireworks Show with a BANG aboard an Angel Island Tiburon Ferry Fireworks Cruise on San Francisco Bay! Be a part of this Bay Area tradition and get onboard Angel Island Ferry for a Tiburon Fireworks Cruise to the San Francisco waterfront to watch the Annual 4th of July Fireworks Show over San Francisco Bay. Click here for more information on the Tiburon July 4th Fireworks Cruises, and purchase your Angel Island Tiburon Ferry July 4th Fireworks Cruise tickets online here. May 16 – October 11, 2014: Angel Island Tiburon Ferry’s famous Tiburon Sunset Cruises: Sit back and relax on a spectacular Sunset Cruise. Become a part of California’s living history and take in the spectacular sights of San Francisco Bay with California’s most loved family owned and managed ferry company Angel Island Tiburon Ferry. Sunset Cruises run 6:30 p.m. – 8 p.m. Friday & Saturday evenings mid-May through mid-October. 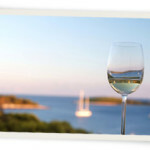 Travelers are welcome to BYO wine, beverages & picnic to create a memorable meal on San Francisco Bay. (Full bar & snacks are also available on-board for purchase). Click here to book you Tiburon Sunset Cruise online! Experience ongoing events on Angel Island State Park ~ Jewel of San Francisco Bay. From live entertainment and delicious food @ Angel Island Cafe and Cantina, to Cannon Ball Firings on the grounds of the Civil War era Camp Reynolds located on Angel Island State Park, to visiting The U.S. Immigration Station, an Angel Island landmark steeped in American history – Angel Island State Park offers something for everyone. “Getaway without going away”™ with a ride on Angel Island Ferry to Angel Island State Park…”Jewel of San Francisco Bay.” Experience what Sunset Magazine named one of the “Top 8 ferries trips” in California! Getting to Angel Island has never been easier: Angel Island Tiburon Ferry offers the quickest, most direct non-stop ferry rides to Angel Island State Park from their Main Street dock in Tiburon California 7 DAYS A WEEK! For Adventure Lovers – there’s a plethora of activities to get into on Angel Island State Park, form biking and hiking, to experiencing a Historic Island Tram Tour…or just kicking back on one of Angel Island’s (secret) white sandy beaches. 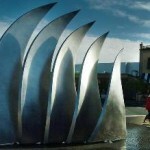 Visitors and “Resident Tourists” will find great satisfaction with a day-trip or overnight stay in Tiburon, CA. Enjoy a delicious meal overlooking San Francisco Bay and the San Francisco skyline, explore Tiburon’s great shopping, and take in the fresh air and sunshine the quaint waterfront town of Tiburon, CA, is know for. Voted #5 of America’s Top 15 Happiest Seaside Towns by Coastal Magazine, Tiburon CA is fantastic (and romantic) Bay Area Getaway. 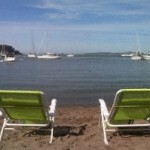 For more information on where to stay & play in Tiburon, CA visit TownofTiburon.org. Angel Island Tiburon Ferry Private Charters & Party Boats: Whether your looking for a uniques venue for a family reunion, corporate event, or just a fun party boat to get the guys & gals together to watch the game – we have a boat for you. 4th of July Fireworks Cruises, Angel island, angel island ferry schedule, Angel Island State Park, Angel Island Tiburon Ferry, bay area getaways, Bay Area Travel Guide, California Attractions, Captain Maggie, July 4 fireworks cruises, party boats sf, private charters san francisco, San Francisco 4th of July Fireworks Cruises, San Francisco Bay Travel Guide, san francisco sunset cruises, SF cruises, SF July 4 fireworks cruise, sunset cruises, Tiburon, Tiburon CA, Tiburon cruise, Tiburon Cruises, Tiburon Ferry, Tiburon Ferry Schedule, Tiburon Fireworks Cruise, Tiburon Fireworks Cruises.